The new Mazda CX-3 is due here in autumn. WRAPS have come off the next big "small" thing from Mazda, and it's poised to take Australia by storm. Scheduled to reach our shores by autumn next year, the Mazda CX-3 has the looks, space and equipment to be another winner for the car maker which is the fourth biggest car seller Down Under. It will be powered by a 1.5-litre diesel or a 2.0-litre petrol with either a six-speed automatic or six-speed manual, with the option of all-wheel drive. Specifications have not been confirmed. Prices are yet to be released, but early indications are that the range will start from around $25,000. 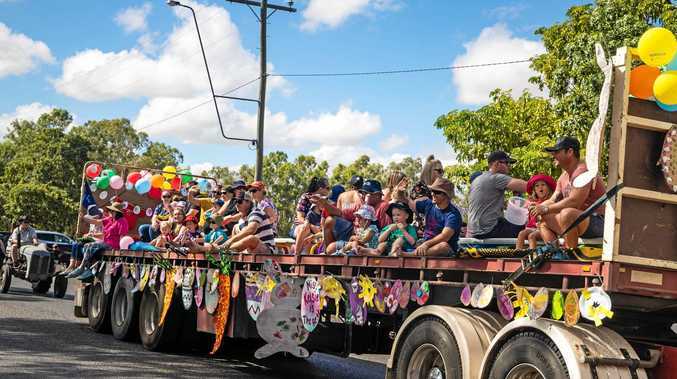 That will make it competitive with the likes of the Holden Trax (from $23,990), Mitsubishi ASX (from $24,990), Nissan Qashqai (from $25,850), Peugeot 2008 (from $21,990) and Ford EcoSport (from $20,790). While based on the Mazda2 platform it is 215mm longer, 70mm wider and 55mm higher. Mid-spec and top shelf variants were on show today, with the interiors offering four adults reasonable space - even for six footers in the back. The high waist line of the design may cause some issues for kids not in booster seats who will likely get a view of the door-top plastics. Yet it's a good looking unit in the metal, with the now trademark Mazda grille and raked rear end. It's not labelled an SUV, but rather a "modern crossover". CX-3 chief designer Youichi Matsuda said that he had to make the design unique to the Mazda line-up. "Even though this vehicle is quite compact in design we want to visualise to make it look quite extended." Having the rear pillar black, rather than body colour made it look elongated, he said. "We really wanted to make this vehicle quite beautiful, starting from scratch." Matsuda had previously worked on the facelift of the CX-9 plus the CX-7 and CX-5 SUVs. So did being involved in those vehicles help with the design of the CX-3? 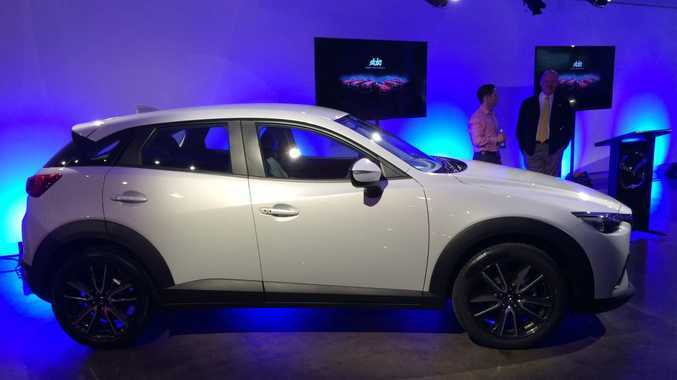 "The CX-9, CX-3 and CX-5 are based on the Kodo design philosophy. We always try to infuse life in the vehicle rather than just a chunk of steel," said Matsuda. His pick of the colour for the CX-3 was the newly developed Ceramic Metallic that appeared white under the lights of the studio-based cocktail party, but that Matsuda said had a strong silver look in natural light. And when the CX-3 goes into production in the coming weeks, the chief designer said he'll be buying one. 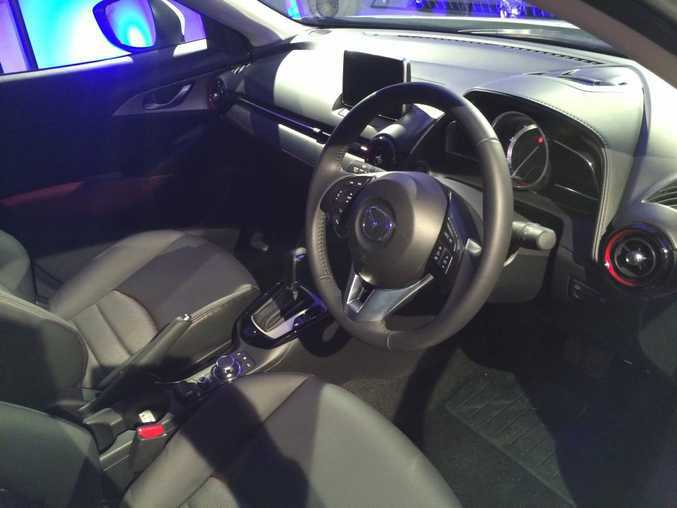 Inside the new Mazda CX-3.